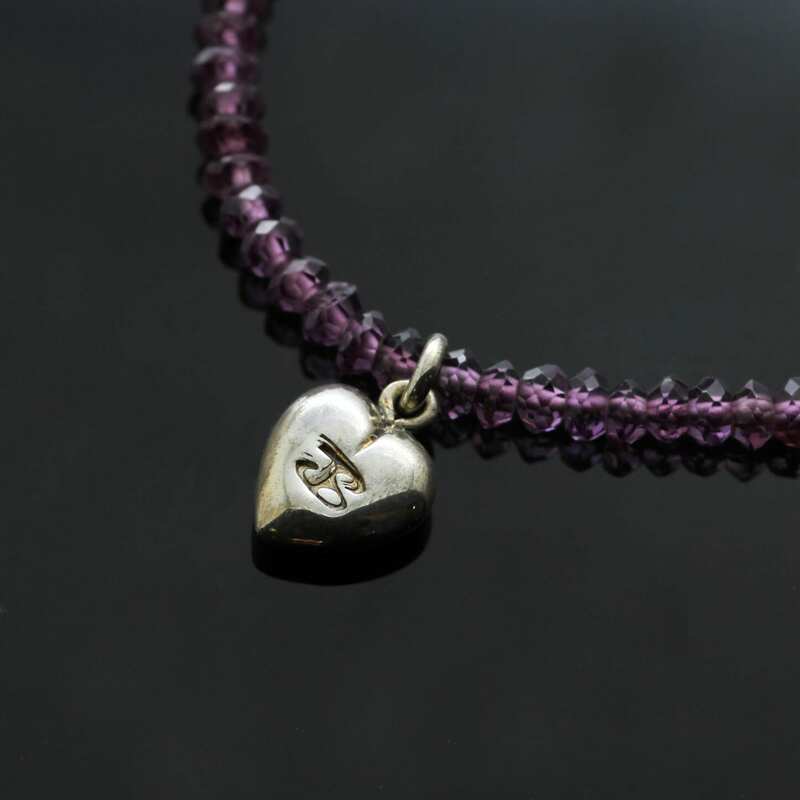 A beautiful and dainty solid Sterling Silver Heart charm, handcrafted by Julian Stephens to create a sweet treat, gift or memento suitable for any occasion. 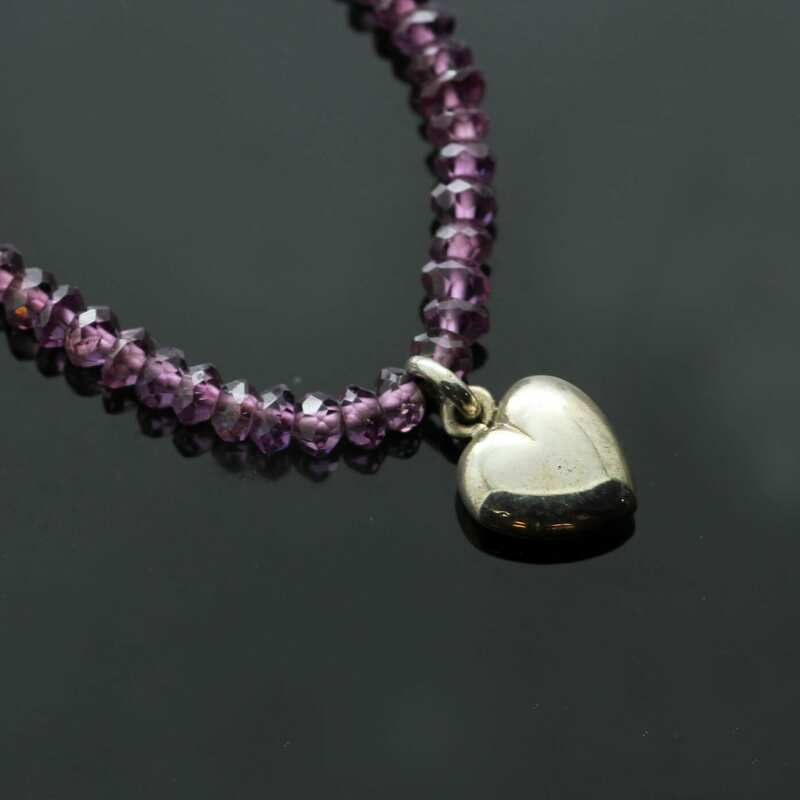 This sweet solid Silver Heart charm is an exclusive design by Julian Stephens, artfully combined with beautiful string of delicate Amethyst beads to create this feminine and stylish necklace design. 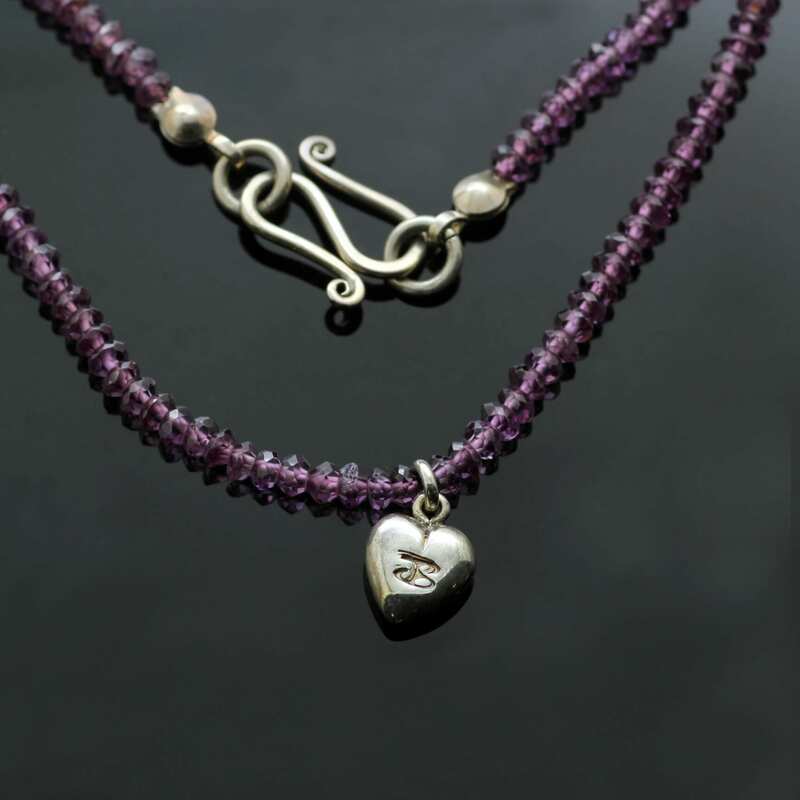 This lovely rich purple Amethyst beaded necklace is hand strung and beautifully constructed, the Silver Heart charm is also Hallmarked and includes Julian Stephens exclusive maker’s mark. This lovely Silver Heart necklace measures 18″ in length and is finished with a distinctive S-shaped Sterling Silver fastening and will arrive presented in a sweet gift box.